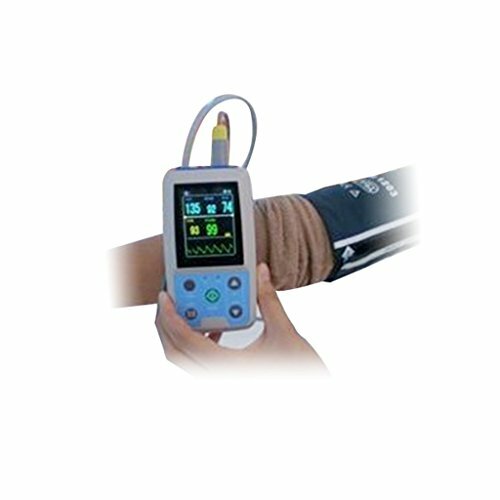 ABPM50 is a handhold ambulatory blood pressure monitor, which is designed according to oscillography theory. 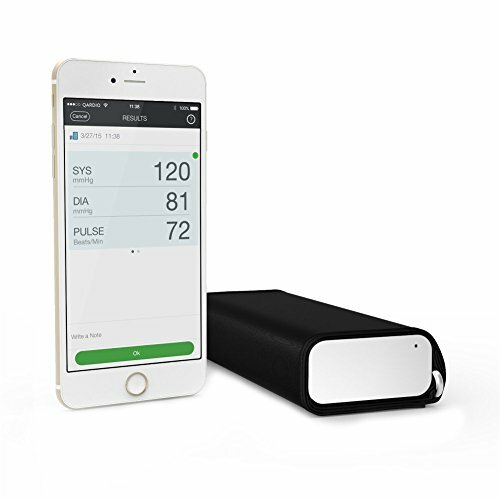 The device could monitor human body blood pressure up to 24 hours continuously and dynamically, providing accurate basis for the diagnosis. 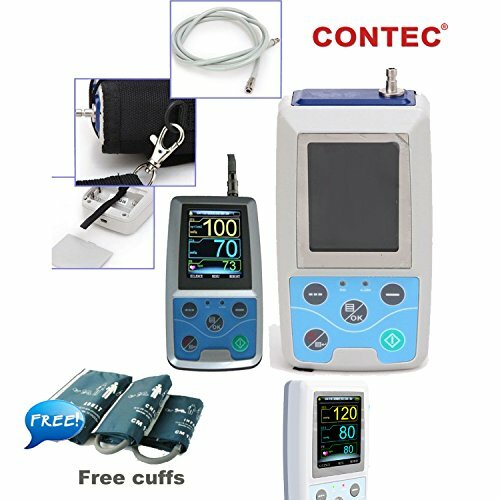 High-definition color TFT display, strong visibility.Communicate with PC, PC software can achieve data review, measured results analysis, view of trend graph, reports printing and other functions. Software features: 1）Connect to the device by USB interface. 2）Download NIBP measure result from the terminal device. 3）Display of scoop-shape trend graph, filling-type trend graph, histogram, pie chart, correlation line graph. 4）Edit every piece of NIBP data, and add annotation to it. 5）Edit basic information, doctor's advice, NIBP status instruction, current medicine-taken information, etc. 6）Support report printing and print preview. 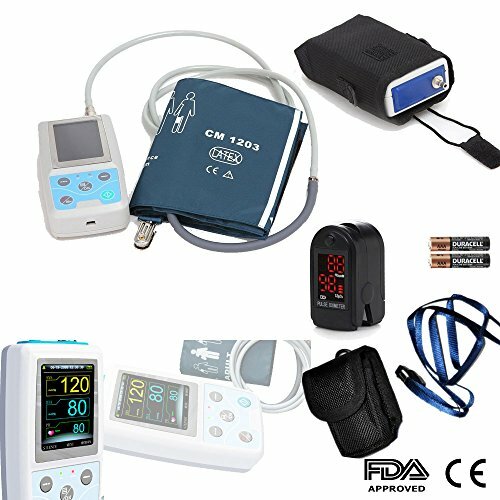 QardioArm wireless blood pressure monitor measures your systolic, diastolic blood pressure, heart rate and has irregular heartbeat detection. It is FDA approved and is clinically validated to meet both US and European Standards. Its elegant and compact design means you can always have it by your side, using it anytime, anywhere. In fact, its unique function PLACES allows you to geo-track your readings across location as well as time. Qardio App is integrated with Apple Health and supports Apple Watch, and checking your health or the health of your loved ones is as easy as checking the time. QardioArm also works with S Health, on your Android devices, including Android Wear. Trusted in the doctor’s office, made for the home. Experience clinical-grade accuracy brought to the home by the brand used by 9 out of 10 physician's offices. 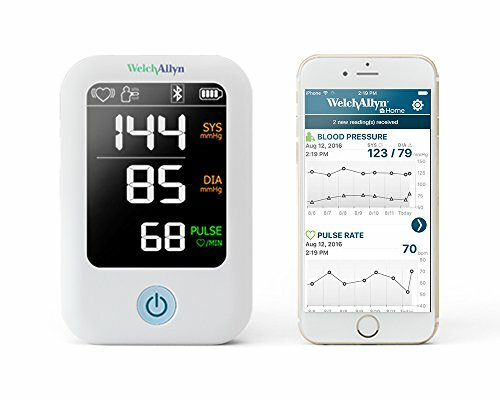 The Welch Allyn Home 1700 Series Blood Pressure Monitor features easy-to-use, one-button operation to provide readings you can trust in just 20 seconds. 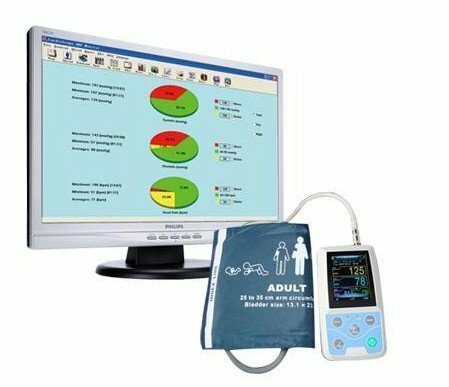 The same SureBP technology used by doctors and hospitals worldwide enables an accurate measurement in half the time of the leading competitor without over inflating or causing unnecessary discomfort. Combined with the free Welch Allyn Home smartphone app, users can easily track and share their readings with loved ones and caregivers. 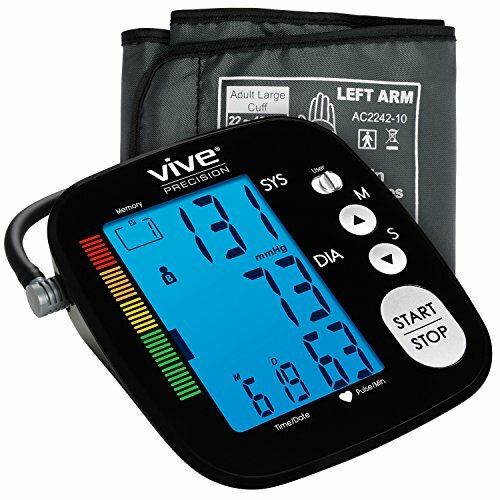 Choose the brand used for blood pressure measurement by more physicians than any other brand. 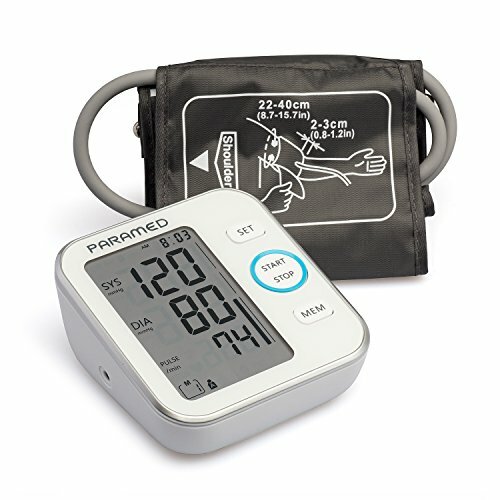 Ships with Welch Allyn Home 1700 Series Blood Pressure Monitor, Standard Wide Cuff (8.75-16.5 in / 22-42 cm) and 4 AA Batteries. AC Adaptor, Extra Small Cuff (5.9-9.4 in / 15-24 cm), Extra Large Cuff (15.7-21.2 in / 40-54 cm) available for purchase separately. Fits upper arms with diameter of 8.7"-16.5" (22-42cm). Clinically validated, FDA approved and doctor recommended. 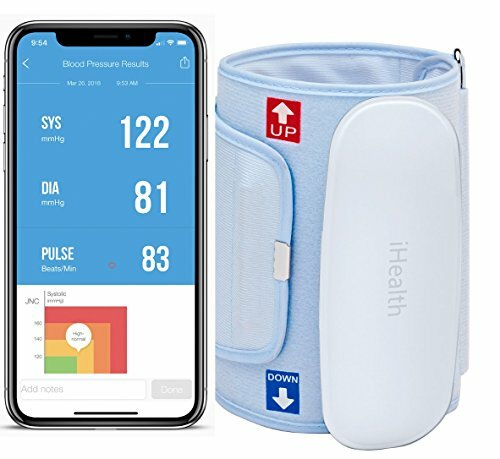 One-touch automatic sync via Bluetooth technology with the free iHealth MyVitals app to track or share all your systolic, diastolic and heart rate trends with your doctor. Award winning design featuring premium quality and maximum comfort for varying arm sizes. 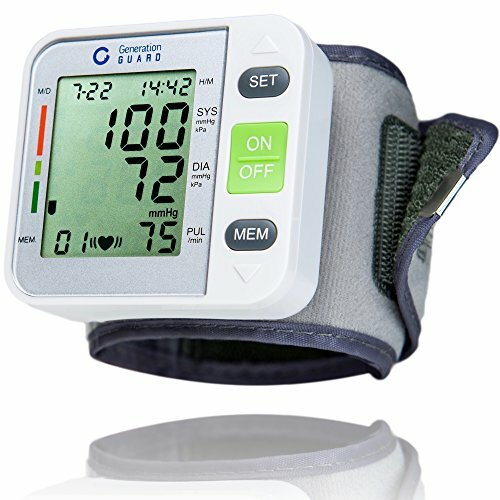 Compare prices on Ambulatory Blood Pressure Monitor at ShopPlanetUp.com – use promo codes and coupons for best offers and deals. We work hard to get you amazing deals and collect all available offers online and represent it in one place for the customers. Now our visitors can leverage benefits of big brands and heavy discounts available for that day and for famous brands.